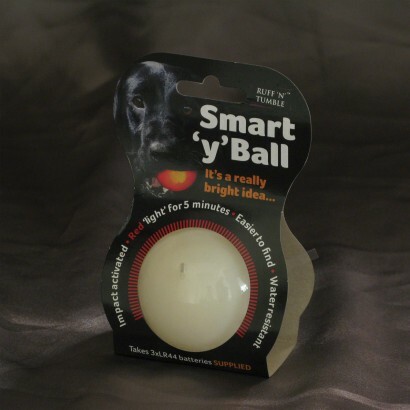 Play endless games of fetch with your dog even on the darkest of nights with this clever light up dog ball! 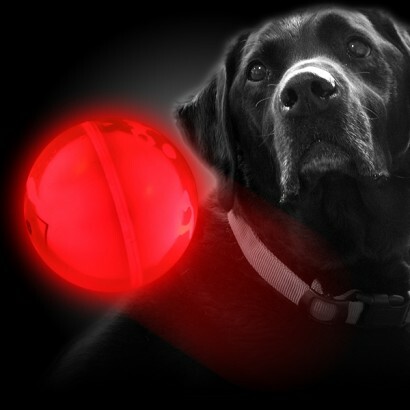 Lit by red LEDs, this robust rubberised dog ball lights up on impact shining brightly with red light for five minutes at a time! Perfect for late night or early morning walks where visibility is low, this sturdy impact activated dog ball is water resistant, and it's super bright red glow makes it easier to see not just the ball, but your dog too!